I recently came across this Suzuki Three-S F-120 that I have fixed up and it’s now for sale. 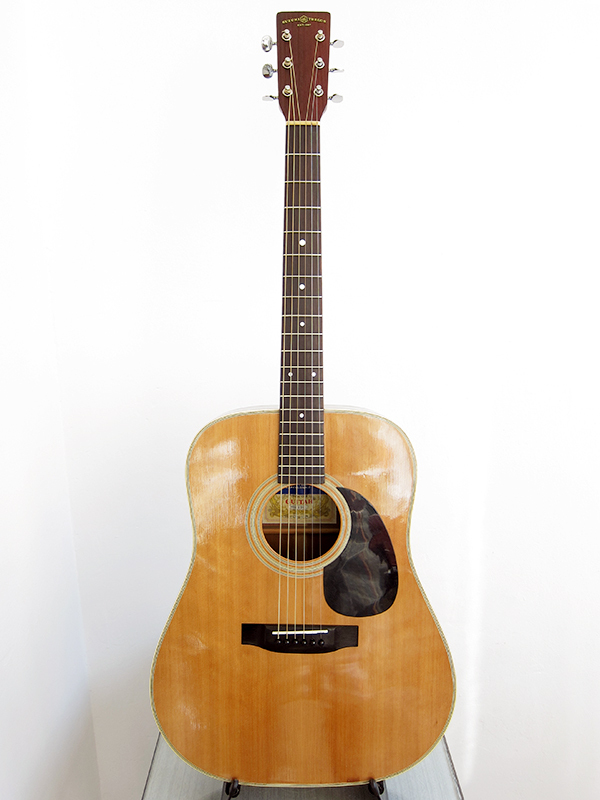 It seems to be a copy of an early Martin D-18, it feels less bulky than most dreadnoughts. Built in 1976 by Suzuki Violin Co. LTD in Nagoya Japan. It’s a beautiful guitar in a really good shape for being almost 40 years old. It’s very easy to play with low action and it has a great tone, very warm and rich. I took the machine heads a part, cleaned, polished and oiled them before I put them back together. 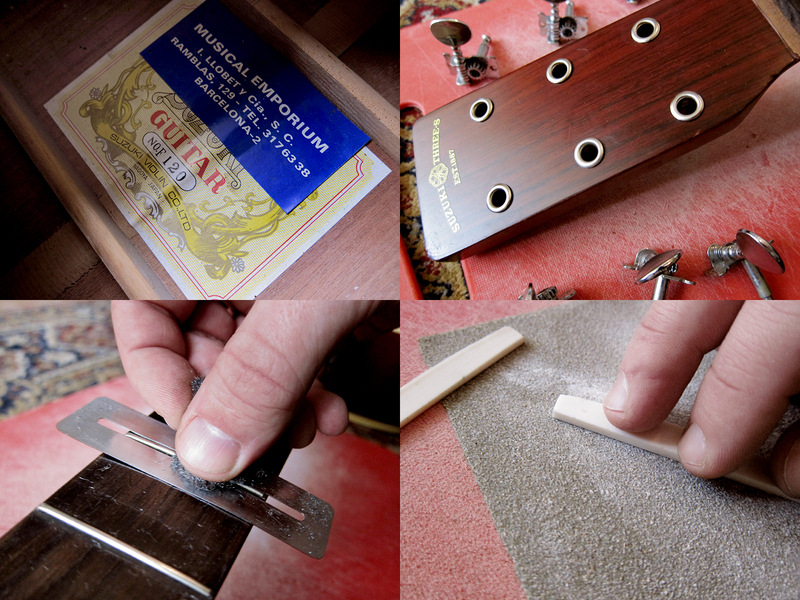 I polished the frets and oiled the fretboard and then made a new compensated saddle in bone. Now it sounds and plays great. I have another Suzuki for sale, however, these guitars were not made by the same company. Both were originally building violins so both are called Suzuki Violin Co. LTD but they were based in different parts of Japan. 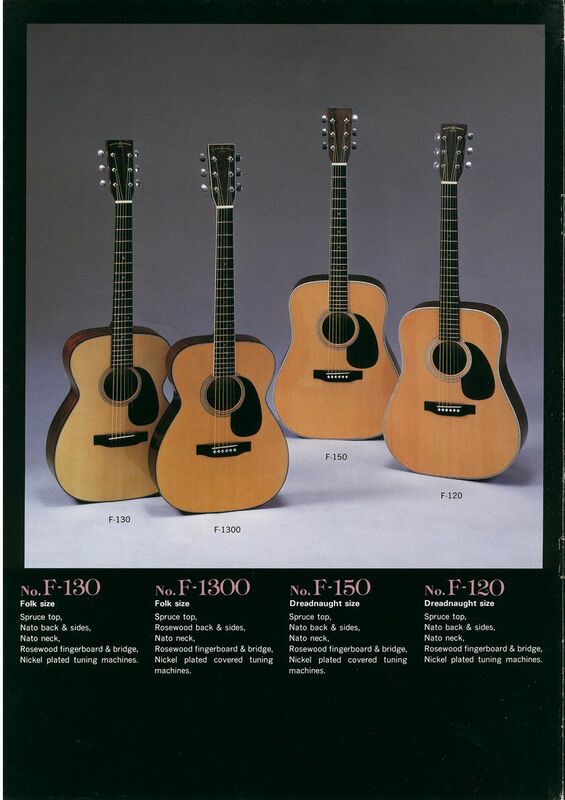 Kiso-Suzuki manufactured guitars in the region of Kiso-Fukushima. Nagoya Suzuki manufactured guitars in the region of Nagoya.